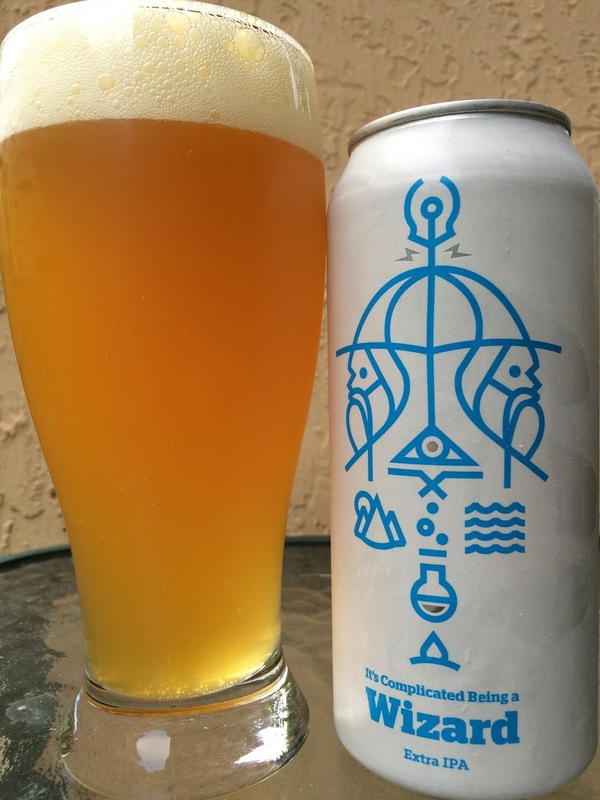 It's Complicated Being a Wizard Extra IPA? Um, sure I'll try it. Actually a friend of mine's brother brought back a mixed 4-pack of pounder cans from a trip to Burlington, VT, the home of Burlington Beer Company (duh). This particular can is white with blue lettering, well lettering and a very interesting science experiment type artwork.7.5% alcohol. Oh, and seriously cool name, I must say! Pleasantly sweet fruity aroma, though fairly distant. Same flavor start, tropical peaches and mangoes. However, after a few sips, things start to change. Citrus and lemon start to ramp up their passions. Spicy, grassy and lots of "rind" zestiness build. Definitely leans bitter after just a few tastes. At the end of each sip, you will not miss the alcohol, also lingering into the finish. Honestly, my wife said this tasted like gasoline, though she is a bit dramatic. Some good flavors, alcohol is a turn off, and overall, "not bad" in a sea of awesome options.